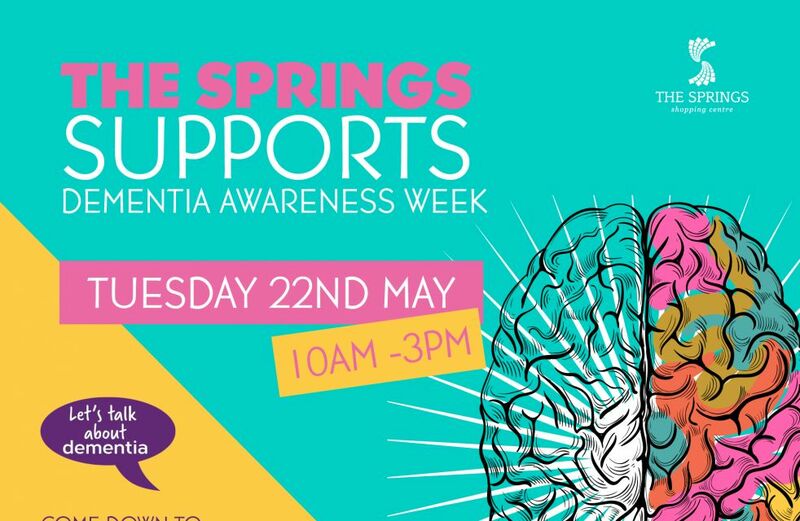 Dementia Awareness week falls between 21st – 27th May and The Springs Shopping Centre will be showing their support. The local dementia support group will be present in The Springs to help raise awareness for Dementia Awareness week and the services they provide to our local community. There are 850,000 people with dementia in the UK, if you know someone with dementia and are looking for more information or support then we encourage you to come and meet your local team. They’ll be present in The Springs between 10am – 3pm and hear what they have to say.